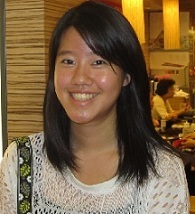 Emily Hsiao was born and raised in Maryland to Taiwanese parents. She has both a younger brother and a younger sister, but wishes she had an older brother as well. Currently a senior at Johns Hopkins University, Emily is a biomedical engineering major on the pre-med track. She went to a magnet high school where she first discovered her strong interest in science and engineering. Although Emily has a great interest in biology, she decided to study biomedical engineering because she wants to be able to apply her knowledge of science to different fields, instead of learning pure knowledge. However, even though Emily enjoys researching and has interned at the National Cancer Institute for four years, she is ultimately planning on becoming a doctor, because she prefers to interact with people and believes she can better help others directly as a doctor. In her free time, Emily loves reading the classics and watching romantic comedies and Disney movies. Her favorite vacations are when she goes back to Taiwan to visit family, eat lots of great food, and go shopping for great deals. In addition, Emily enjoys spending her time working with kids, and doing community service. In high school, Emily managed a group of students of all ages that put together recitals at nursing homes for the elderly. She worked as a teacher's assistant in her Chinese school and often took care of children during church activities. She worked as a teacher�s aide at a high school in Baltimore for two years and she is currently a leader for a student group that tutors elementary students. Emily has also been a deputy director for the last two years for InnoWorks and is extremely excited to be working with the InnoWorks program at Hopkins again to share her love for science and engineering with students in Baltimore. In her free time, Emily loves reading the classics and watching romantic comedies and Disney movies. Her favorite vacations are when she goes back to Taiwan to visit family, eat lots of great food, and go shopping for great deals. In addition, Emily enjoys spending her time working with kids, and doing community service. In high school, Emily managed a group of students of all ages that put together recitals at nursing homes for the elderly. She worked as a teacher's assistant in her Chinese school and often took care of children during church activities. Currently, she is working as a teacher's assistant in a high school in Baltimore. Emily is extremely excited to be working with the InnoWorks program at Hopkins again and to share her love for science and engineering with students in Baltimore.